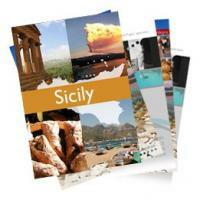 Download our free Travel Guide to Sicily, Now! 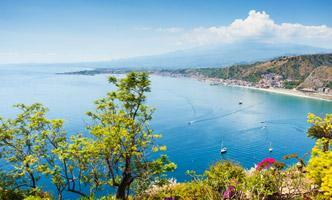 Sicily will offer you the perfect mix of traditions, excellent food, beautiful landscapes and historical wealth. 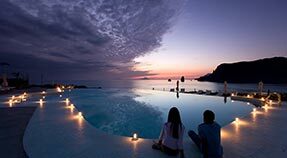 Find the perfect accommodation for your holidays in our selection of the best luxury hotels in Sicily. 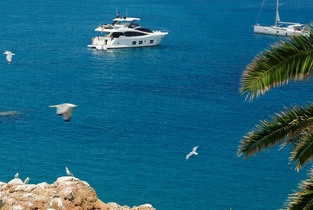 Luxury resorts, 4 and 5 star hotels will assure you an exclusive and refined holiday. 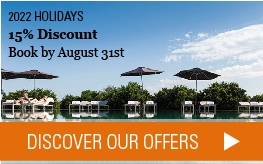 Are you looking for a special holiday, which allow you to live the real Sicilian atmosphere? 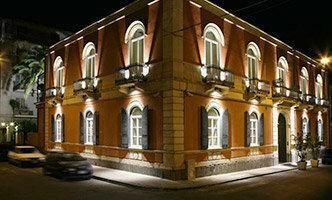 CharmingSicily.com is proud to present you the best boutique hotels and charming Hotels in Sicily; romantic and character hotels which will be glad to welcome you with a personalized treatment and will be the exclusive locations for your evenings. We selected for you the best hotels on the Sicilian Islands, a guarantee of relaxation, on oasis of peace and quiet just a stone’s throw from the most beautiful beaches in Sicily. Not just simply a vacation, but the authentic expression of places out of time. Discover the true soul of Sicily. Luxury bed and breakfast, farm holidays and small luxury hotels selected by CharmingSicily.com for your stay, in search of oldest traditions and at the discovery of the most authentic nature. 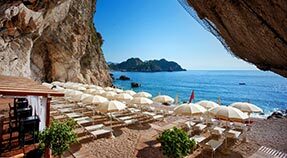 From Palermo to Catania, not forgetting the smaller islands and the archipelagos, CharmingSicily.com has chosen for you the best hotels on the best beaches in Sicily. In the heart of the city or in peaceful locations; with a traditional baroque style or with a modern twist, the city hotels of our selection have been carefully chosen for their quality and attention to detail. 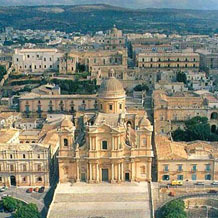 First time in Sicily? First time in Sicily? 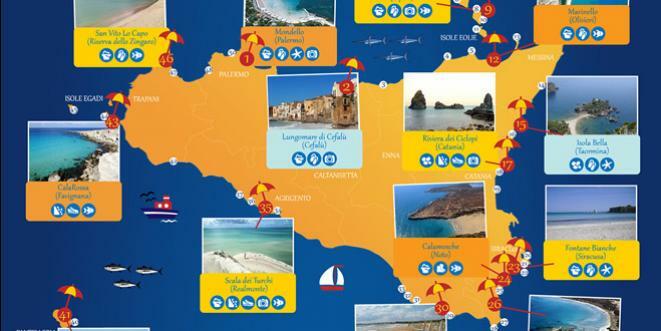 Travel Guide to Sicily: Download it for Free! What are the most beautiful beaches in Sicily? Where are they located? 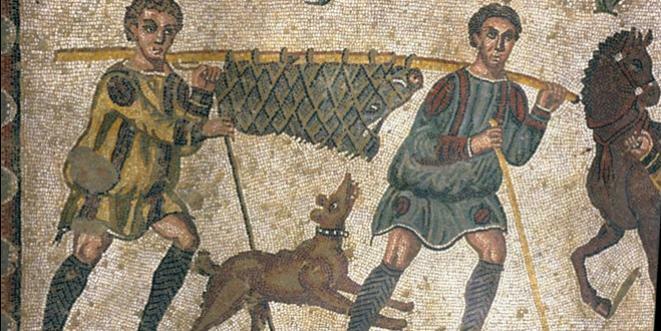 A melting pot of peoples and cultures, Sicily is rich in historic and artistic testimonials of the past, telling the tale of centuries of history. 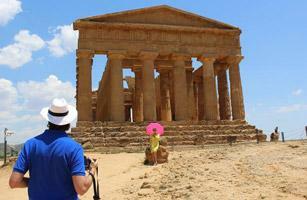 The great archaeological heritage of the region includes several sites recognised by UNESCO as World Heritage sites, such as the archaeological area of Agrigento, the Baroque cities of the Val di Noto and the Roman villa del Casale. The meeting between various cultures has produced an intriguing fusion of culinary tastes and flavours, and also a rich heritage of quality wines. In Sicily, cooking is an art displayed in many elaborate dishes, the end result of long and painstaking preparation; a ritual which culminates with the almost holy nature of the meal, always to be enjoyed in good company. Side by side with the sweetmeats and pastries, undisputed king of Sicilian gastronomy, an important role is also played by the citrus fruits, dried fruit, sweet/sour, fruit and vegetables and olive oil. 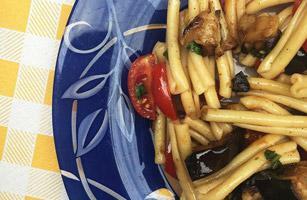 The wide variety of fried items (‘arancini’, fried pizza, bread,’ panelle’) all go to make Palermo one of the cities offering the greatest variety of street food. 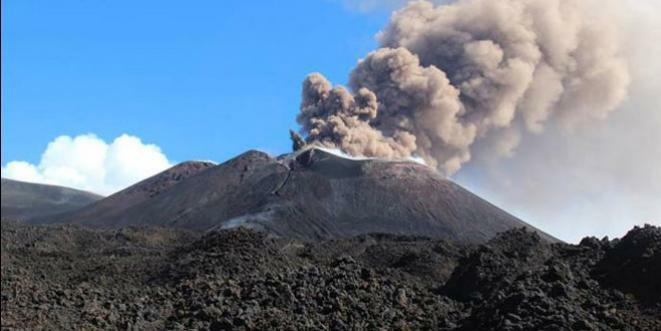 Also important is the great variety nature sites, including no less than 5 regional parks and 77 nature reserves (including the Volcanic Park of Mount Etna) and 1500 km of coast washed by the splendid sea of Sicily. There are two main airports in Sicily – Catania, one of the most important in southern Italy which is about 4 km from the city, and Palermo, one of the oldest in Italy, about 35 km from the city centre. Apart from these, we should mention the minor airports of Comiso and Trapani, and those on the islands of Lampedusa and Pantelleria. 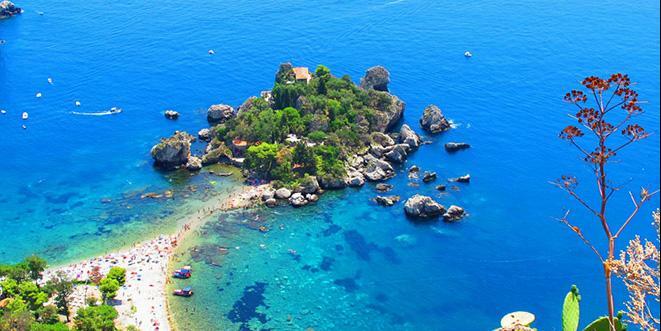 From mainland Italy you can also reach Sicily by ferry from Reggio Calabria, the trip takes about 35 minutes. If you choose to discover the delights of the sea offer in Sicily, and you are looking for closer contact with nature, the islands are the best choice. The best airports connecting to the Aeolian Islands are Catania, Reggio Calabria, Palermo and Trapani. The nearest port is Milazzo, but you can also reach the Aeolian Islands from the ports of Palermo, Naples, Reggio Calabria and Messina. 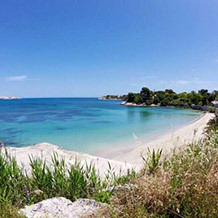 The island of Favignana can be reached from the port of Trapani, while Pantelleria is accessible both by sea from Trapani and Mazara del Vallo and also from the island airport. 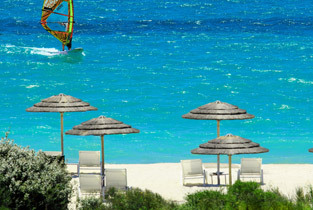 There is a wide range of hotels, chosen to meet individual requirements and tourism offered by the island. 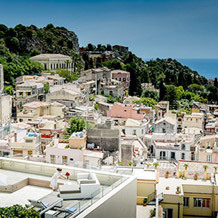 You can make your choice from city hotels in Palermo, Catania, Syracuse and Taormina or Agrigento; there are also numerous small hotels set in the countryside or in the small attractive hamlets of the Val di Noto; or again why not look out from your room and enjoy splendid views of the sea or Etna. There are many family-oriented hotels and resorts which offer services aimed at the reception and amusement of younger guests, who will certainly appreciate the sea, open green spaces and the excellent cuisine. The beauty of the sea and the fascination of the island’s art treasures; the majesty of Mount Etna; the remains of the several different cultures which ruled on the island over the centuries; a rich culinary and wine tradition – all ingredients for a perfect vacation as a couple – browse through our romantic hotel offers and begin to dream! An exclusive vacation starts from the choice of venue – but it also needs made-to-measure services which only a 5-star structure can guarantee. 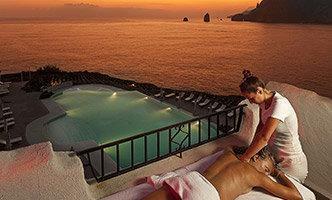 Destinations such as Taormina, Syracuse and the Val di Noto offer all this, targeting a refined, demanding clientele. Small gems of hospitality, located in charming towns and cities such as Syracuse, Taormina, Ragusa and Modica, or else set in the countryside, on the slopes of Mount Etna, or looking out to sea. 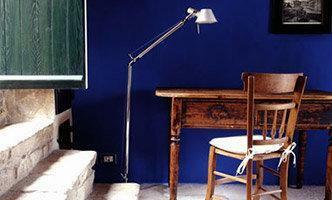 Boutique Hotels chosen to offer the best service, careful and unobtrusive. We have hand-picked the hotels in this category based on their quality and professionalism. 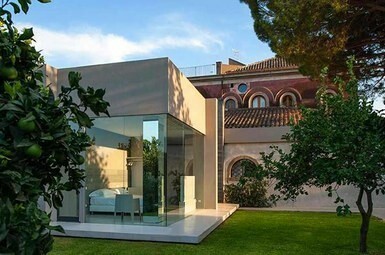 Located either in cities such as Syracuse and Palermo or set in the countryside, guarantee full attention to guests and a wide range of services and amenities, which will contribute to making your vacation perfect. When we talk of the sea of Sicily, we cannot help going into detail on the beauty and special nature of the off-shore islands. 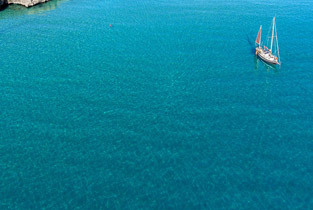 The Aeolian Islands with Lipari and Vulcano, Pantelleria: unspoilt corners of paradise where you can really appreciate contact with untamed nature, discover remote areas and let yourself be enchanted by their uniqueness. For relaxation at the end of the day after a spectacular trip to Etna, or a pleasant stroll through the Baroque gems of the cities, what better than the opportunity to relax and follow a wellness path in one of the Spa Hotels in our selection. A pampering, regenerating experience which will put the finishing touch on your holiday. 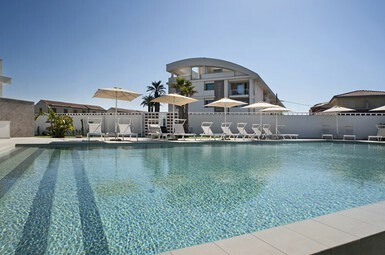 Famous for its beaches, Sicily offers a wide variety of hotels by the sea, suitable for both adults and kids. Apart from Taormina, the undisputed queen, you will find the localities of Cefalù, the coast of Syracuse, and naturally the southern coast with Modica, Butera, Sciacca...not forgetting the beaches of the many smaller islands, of which we must mention the Spiaggia dei Conigli (Rabbit Beach) of Lampedusa. 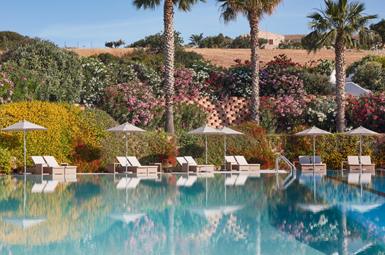 Let yourself discover and enjoy the history and scenery of Sicily: the Golf Hotels will allow you to play in unique surroundings, amid nature parks and historical remains. To enjoy total privacy and relaxation after touring the attractions of Sicily, a hotel with your own private jacuzzi will be the cherry on the cake. From the small towns of the Val di Noto to glittering Taormina; from the peak of Mount Etna to the Aeolian Islands, passing through Syracuse, Agrigento, Catania: every corner of Sicily is a piece of history, every destination is a universe in its own right. 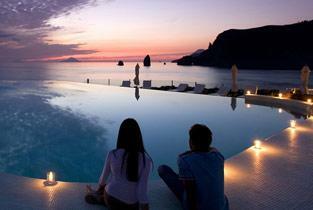 Contact us to learn about the best offers of hotels and resorts in the best-known venues of Sicily. Catering for adults and children alike, tourist village offer a rich choice of activities and a full range of services and amenities. 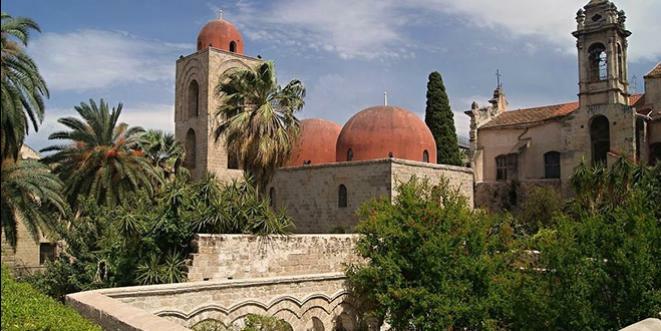 These include trips to the discovery of Sicily’s territory and its natural, historical and artistic heritage, together with its renowned food and wine traditions. An all-round plunge into local culture. 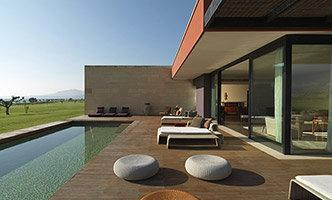 The large size and varied attractions of Sicily are paralleled by the range of holiday accommodation options. Browse through our selection of bungalow resorts and find that which best meets your needs. The many activities on offer in the children’s villages will also enchant parents – apart from sport, educational activities to stimulate creativity, or dedicated to nature treks through the rich Sicilian countryside. The wide variety of countryside, sea, mountains and volcanic areas will be a constant discovery for your kids. 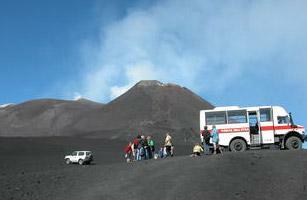 It is easy and amusing to organise your holiday with the kids, thanks to the tourist itineraries through the nature reserves and the great regional parks (Mount Etna Park, Nebrodi Park, Madonie Park and Alcantara River Park), which all offer interesting educational tours and exciting activities such as adventure parks and the climb up Mount Etna. Quality, professional skills and careful customer services – these go to form your luxury holiday, guaranteed by the best hotels we have chosen for you. Surrounded by the splendid sea of Taormina, gems of Baroque art and architecture and the peace and quiet of the countryside, amidst the scents of citrus fruit and the green of olive groves – a truly unique experience. 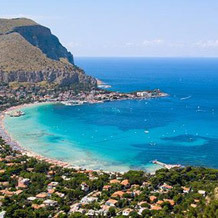 The charming seaside promenade of Cefalù, the beautiful Isola Bella of Taormina or the captivating beauty of Scala dei Turchi, with its white rock walls dropping sheer into the sea – there is a host of sea offers in Sicily, in the best venues on the island, ranging from stylish boutique hotels to family resorts. A stroll along the well-known Corso Umberto of Taormina and, on your return, the comfort of a room with a view over the splendid Riviera. 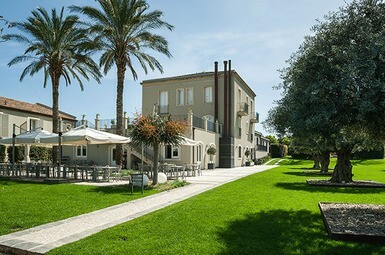 A small hotel set in the green countryside, just a few paces from Etna, to be discovered and explored. A glass of fine Sicilian wine, and the success of your romantic weekend is guaranteed. When wonder is just behind the corner: golf vacations in Sicily offer a trip within a trip – an experience within an experience. 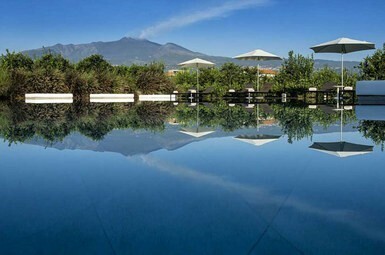 Golf courses bordering with Punic necropolises, nature reserves, citrus groves, vineyards and, on the horizon, the majestic view of Mount Etna. To best enjoy the beauty of the Mediterranean and sail the seas surrounding Italy’s largest island, we suggest rental of a yacht or catamaran. 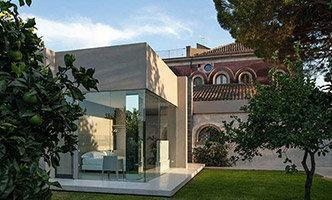 The best choice ensuring independence and choosing your own itinerary. 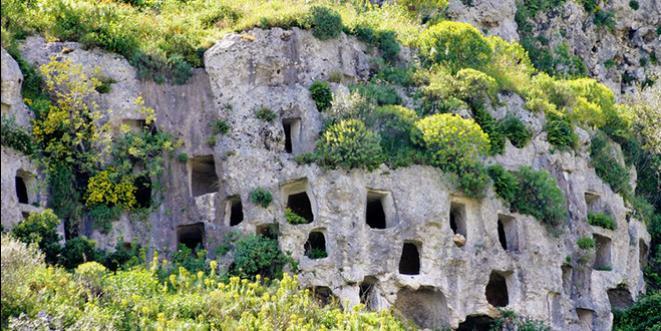 The golf experience in Sicily is a trip through history and nature. There are four main golf courses, in different areas in the region, each with unique scenic backdrops.